The truck flipped onto its side around 2.30pm on Monday, blocking the highway. 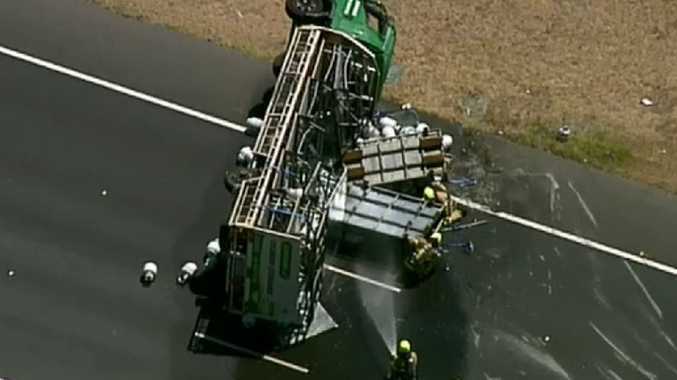 The accident happened about 2.30pm on the EastLink toll road in southeastern Melbourne. 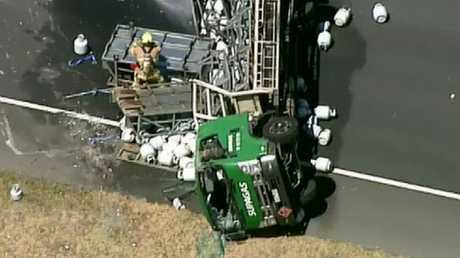 The truck and its goods spilt across the toll road near the Monash Freeway in Dandenong North about 2.30pm. It is unclear what caused the truck to roll over, with the tanks tumbling onto the motorway. Paramedics attended the scene and assessed a man, believed to be the driver. Traffic banked up behind the scene and motorists are urged to find another route to avoid delays.